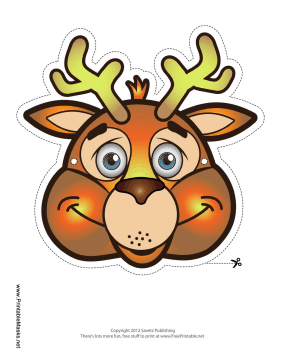 For your deer costume, why not try this cheery brown deer mask, complete with antlers and a big smile? This mask is great for playing pretend, or could easily be used as a reindeer mask around Christmas. This mask is free to download and print.